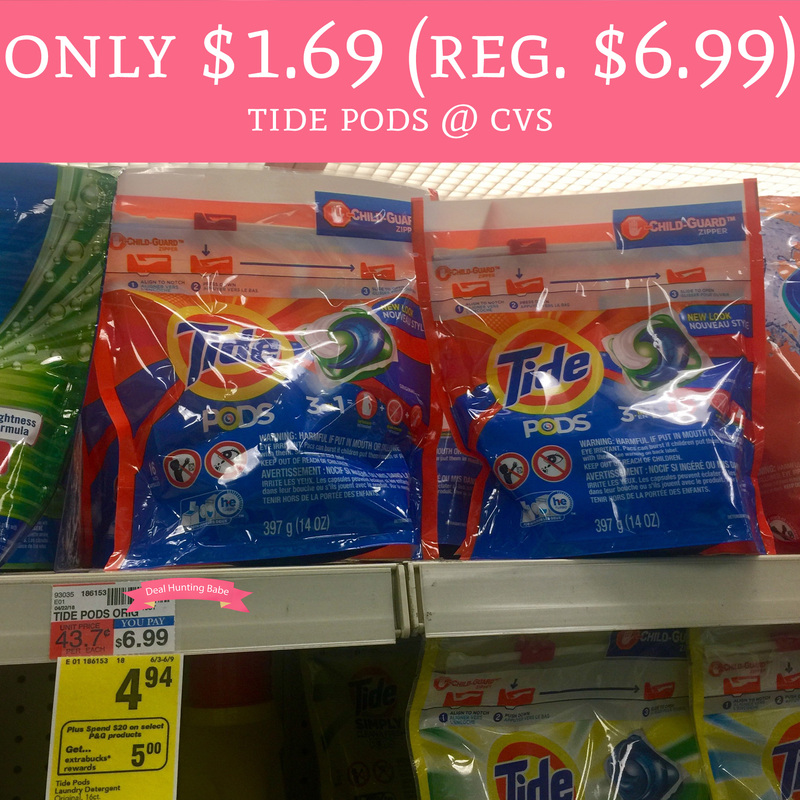 Through 6/9, head to CVS where you can score Tide Pods 16 Count for just $1.69 (regular $6.99). They are currently on sale for just $4.94 and spend $20 get $5 Extra Care Bucks! We also have a $2/1 Tide Pods coupon found in the June 6/3 P&G insert. This coupon has a limit of 2 so you will have to separate transactions and follow the limit of the coupon. That makes each pack just $1.69! Final price $6.76 or $1.69 each! !